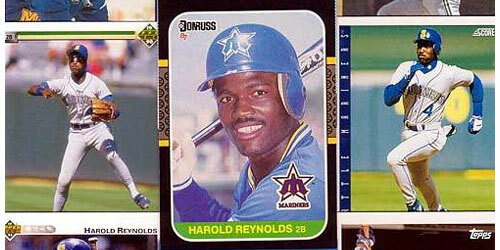 In 1986, I was a young second baseman in the Seattle Mariners’ system fighting to stay in the big leagues. I had already achieved one of my goals of playing in the Major Leagues a few years earlier when I was called up at the end of September 1983. In 1985, I reached another personal goal when I made the Opening Day roster for the first time. You would think I would have been on top of the world! Not the case. I would struggle through that season, playing part-time and hitting only .144. Miserable, frustrated and unsatisfied with my performance, I considered quitting baseball at the end of the season. Many people would say I was living the dream, but for me, I couldn’t live with being mediocre. I knew I was better but just couldn’t put it together. I had been an All-Star at every level in the Minor Leagues and didn’t understand why I was struggling in the big leagues while others I outperformed in the minors wasn’t. In the fall of 1986, a conversation with Casey Treat, a pastor friend of mine, would change all that. Quitting, as far as he was concerned, was not an option. He gave me an earful that day and I’m grateful for it. Now don’t get me wrong, the conversation set me back at first, but he did get through to me. As I examined myself, I started thinking back to when first I started competing in baseball at age five. That first year in Little League, I performed so well I was picked to the All-Star Team even though I was the youngest kid in the league. In fact, it didn’t stop with Little League. After that summer and every year going forward — high school, college and the Minor Leagues — I would become an All-Star at every level. An All-Star in every sport I participated in: football, basketball, track and even wrestling. I went back home to Oregon to work out in January before the 1986 season with a renewed fire and a fresh perspective. I knew Greatness does not come by osmosis; you have to work at it. Working is the easy part. The tough stuff is being willing to make adjustments. I knew I needed to make some changes in my swing and approach at the plate but was unsure of what to do. I was lost and needed to find the stroke that had made me an All Star at every level. When I got to the big leagues, I had been given so many confusing messages from coaches. I heard it all! I was too coachable. I listened to too many coaches and tried to incorporate all of their instructions. It seemed every time I got around big league coaches and discussed my hitting problems, they all agreed on one thing as a solution — that I should “hit the ball on the ground and use my speed”. I had heard that crap from the first day I signed a pro contract. “Hit the ball on the ground”. Hitting the ball on the ground does not automatically result in base hits. They pay guys millions of dollars to field ground balls. If the defense positions themselves correctly, you should be able to throw out a batter hitting nothing but ground balls every time. This isn’t Little League, where you find the weakest link to hit the ball to. This is Major League Baseball! I have yet to see a player outrun a throw from a Major League infielder on a ground ball hit hard right at the defender. I knew I had to hit line drives and balls in the gaps to have success. I did it in the minors and knew I had to do it in the big leagues. As long as they kept preaching ground balls and I didn’t make the adjustment to hit line drives, I was never going to stay in the majors, let alone be an All-Star. I changed my swing and approach at the plate that winter. It took a couple years, but the hard work and adjustments I made paid off. In 1981, my first season in the Minor Leagues, I was named the Midwest League Prospect of the Year, playing for the Wausau Timbers in Wausau, WI. That season, I hit .296, stole 69 bases and hit 12 home runs, but I also committed 30 errors at second base. The following spring training I sat with my infield instructor, Marty Martinez, to set defensive goals for the upcoming season, I said to him, “I am only going to make five errors all year.” He laughed and said, “Hold on–what are you going to do after the first week and you have already committed five errors? Let’s be realistic! Set reachable goals. If you commit 25 errors in the season, that’s a positive improvement from last year.” Goals should be something that you get excited about, not something that makes you feel depressed and inadequate! They should motivate you to get out of bed in the morning and look forward to what the day might bring! I looked at the second basemen in the American League and the talent was rich. Their accomplishments were just as impressive. Several were already All-Stars, Gold Glove Winners, Silver Slugger Award Winners and World Series heroes. Frank White in Kansas City was the smoothest fielder of the group, and in my opinion, the best defensive second baseman in the history of baseball. Willie Randolph in New York could do it all — an incredible combination of power, speed and toughness. Lou Whitaker in Detroit had tremendous power. Vance Law in Chicago was a great hitter. 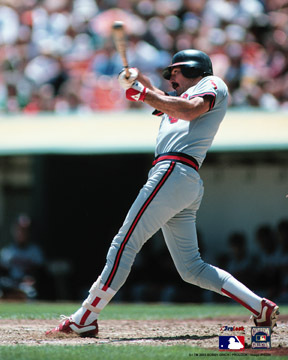 Damaso Garcia in Toronto had unlimited potential, Jim Gantner in Milwaukee was a great situational player and Bobby Grich in Anaheim was way ahead of his time–a 6’2, 200-lb stud. I had to look for something positive that made me realize I could compete with these men. I knew I wasn’t going to be the type of player who hit 25 home runs or drove in 100 runs. I was going to catch the ball and make contact. When I looked at the physical stature of each man, outside of Bobby Grich, we were all basically the same size: 5’11”, 165 pounds. That was it. The common denominator I needed. When I was able to reduce them from the giants they were in my head, to the same size of the man I saw in the mirror, the vision came alive. They all had a special skill that stood out amongst the group, but once I set that skill aside, it cleared my vision and I realized not only were we similar in physical stature, but we basically all had a similar style of play — catch the ball, hit for good average and don’t make mistakes. After assessing the competition, I concluded that if I could play within myself, which meant catching the ball, putting it in play and stealing bases, why couldn’t I be an All-Star too?